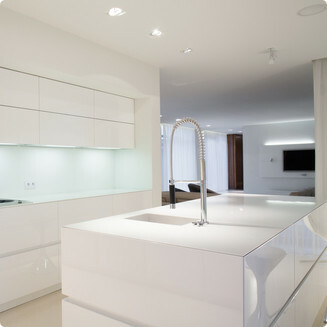 Looking for a professional countertops company for your next project? Want Quality Service and Products? I just wanted to tell you what a pleasure it has been to work with you. You were always on top of everything and took care of all the details. The people you had working were all very good. We are so pleased with the results even my husband who never seems to notice anything. We definitely will recommend you to people we know - 3 have already asked me. I will also give HOCOA a great report. Josh was referred to me by a friend, and I have had a wonderful experience with him. He went out of his way to be helpful, bringing sample after sample. He always answered my text messages or phone call within minutes. He is very knowledgable and took unlimited time to answer any questions. His work is very professional and he only took a few days from the time we placed the order to the final installation. As a designer pleasing my clients is of utmost importance. Josh and I will definitely be working together in the future! We have worked with Carolina Countertops for several years and multiple jobs as both a sub-contractor and as a client. Josh, owner, was professional, on-time and extremely helpful. He was always available to answer questions and reliable. Our clients have always given positive feedback about Carolina Countertops and we had an excellent experience when he did our personal home. We highly recommend Carolina Countertops. Josh replaced our old worn out kitchen countertops with beautiful granite in May of 2015, and I cannot say enough good things about him and his crew. They did an excellent job! From start to finish, the whole process went like a dream. If you are looking to have your countertops replaced and want a guy that responds to all emails and phone calls in less than 12 hours (often in less than one hour! ), is always on time, makes the job as easy and painless as possible, and does exceptional, high quality work at a very reasonable price, then you want Josh and Carolina Countertops. He actually cares about the customer and the quality of the work. 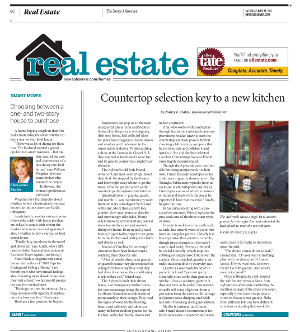 Click on the articles to check out Carolina Countertops in the News & Observer. This is the quality service our clients have grown accustomed to getting from us. 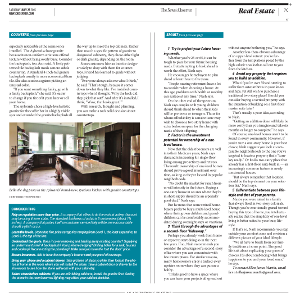 Get more information and updates on countertop materials, ideas, and prices. Subscribe now.